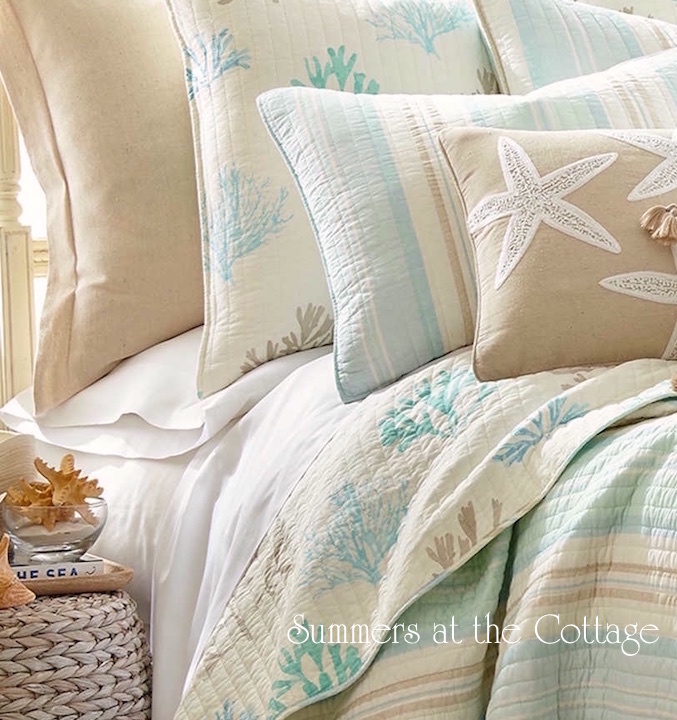 Envision a coastal beach house bungalow island retreat with this sea glass colors, cottage bungalow aqua blue reef and cabana striped Quilt Set! 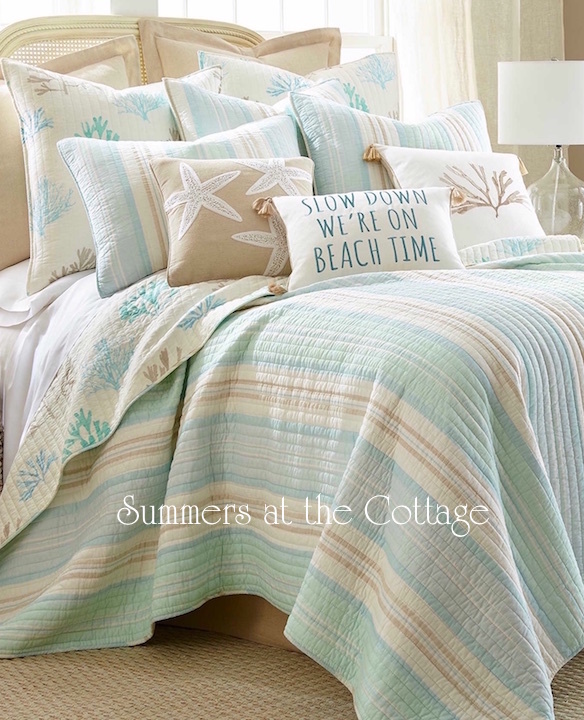 Designed with stunningly beautiful ocean seaglass colors from aqua blue to soft seafoam green with sandy taupe stripes to create a beach theme in your home, vacation home or guest cottage. These colors are so serene! 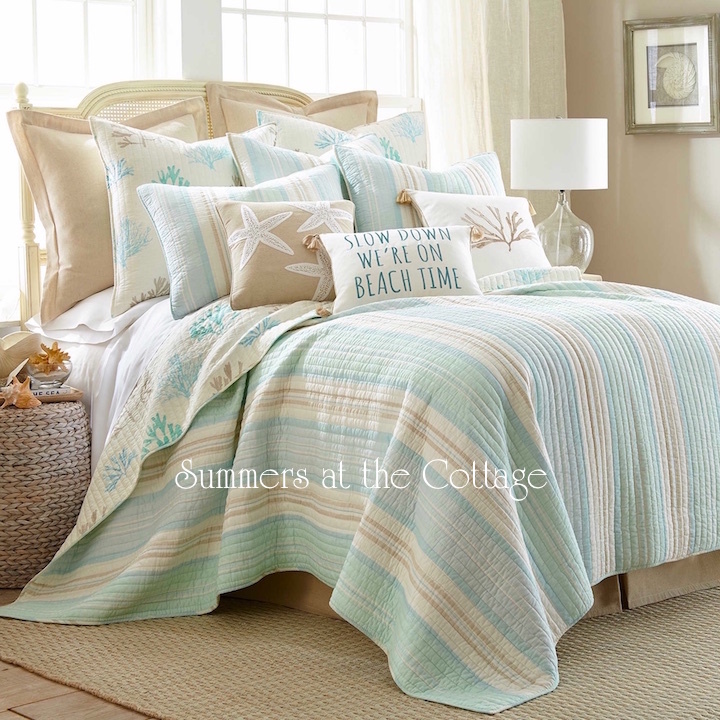 With a beach house cabana stripe design in Aqua Blue, Sea mist green, Sand and Taupe stripes on one side and reverses to aqua blue and taupe coral reef design. 100% cotton fabric and machine wash and dry. King Set Includes: King Quilt 106" x 92" and Two Standard Pillow Shams 20" x 26"
Queen Set Includes: Queen Quilt 88" x 92" and Two Standard Shams 20" x 26"